Z Hotel is a fun budget hotel with a perfect location in the center of Chaweng, Koh Samui. All rooms have air conditioning, cable TV, free wireless internet, fridge with free drinking water and en-suite bathrooms with hot showers. Z hotel is just a few steps from the beautiful Chaweng beach which is 7km of white sand and turquoise sea. The shopping and markets are right on your doorstep and the buzzing nightlife is just a few minutes away. There is food everywhere in Chaweng, from street stalls and markets to high end 5 star restaurants. 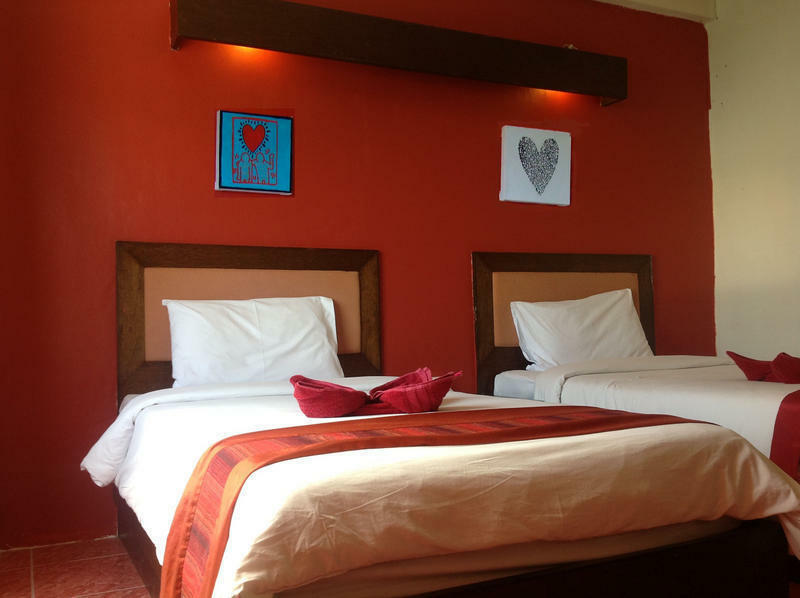 If you are looking for a clean, comfortable and friendly budget hotel in a great location then Z Hotel is ideal for you. Turn off Samui ring road at the traffic lights at Talart Dao turning. Stay on this road past Talart Dao (Dao Market) and Talart Laem Din (Laem Din Market). When you pass Laem Din Market, keep heading straight and you will pass Phetbuncha boxing stadium on your right. 200m past this on your left you will see Z Hotel which is just before the junction with Chaweng beach road. Catch a pick-up truck bus (known as 'songtaew')and ask to be dropped off by the public entrance to Chaweng Beach. Z Hotel is right opposite this entrance. Ask to be dropped off by the public entrance to Chaweng Beach. Z Hotel is right opposite this entrance. Cost from airport approximately 300 baht.